Well, South Florida, we made it. December has rolled around and we survived the year without a hurricane, a major political indictment, or an overly hideous new Marlins uniform. And though Palmetto High’s Jeff Bezos dissed us for Northern Virginia, we were still able to save Ultra (which is all that really matters). But those weren’t the only highlights. We got a bunch of new Downtown bars, 865 new food halls, a snazzy new high speed train who sold out to Richard Branson after people kept mistaking its tracks for a carpool lane. Oh, and then there were some restaurants. Not one but two Michelin-starred spots from the northeast opened up in South Florida, as well as a slew of fantastic new taco restaurants and Italian joints that were actually distinguishable from each other. Sure, they weren’t all winners. But neither were our sports teams. And that didn’t stop you from rocking a turnover chain, did it? 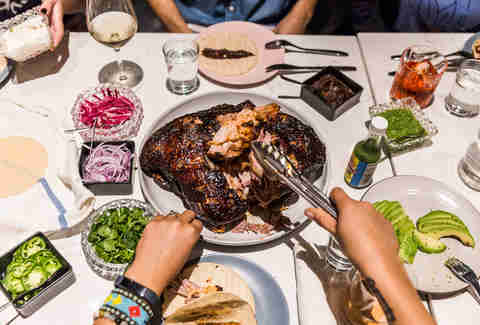 So, in the spirit of recognizing the highlights of the year, here are our picks for the best new restaurants that opened in 2018. If you live in Kendall, a quality date-night spot is hard to find. Cruise the chain restaurants along Kendall Drive on Valentines Day for proof. So, thank the folks behind Graziano's for opening this unassuming pizzeria on Sunset and Galloway. The shop is an open-kitchen Italian restaurant, where you and your special someone can peruse shelves of reasonably-priced Italian wine bottles, hand it to your waiter, and allow him to serve you at an intimate table for two. As you sip your wine, you’ll wait for a wood-fired pizza that’s as good as any Neapolitan-style pie in Miami. And as the sun goes down over the suburbs you’ll realize that driving far away for a great date isn’t always necessary. It seems that Miami took that threat of “a taco truck on every corner” literally in 2018, as we may have seen more taco shops open than fly-by-night marijuana doctors. Those actually might be related. Anyway, the best of the batch was this spot on the 79th Street causeway, where a Coyo co-founder has created a menu full of meat, seafood, and vegetarian options including octopus and cauliflower al pastor. The bartenders have almost-daily margarita specials, where you’ll find everything from dragon fruit to wine mixed into your tequila drink. Add in what we can safely call Miami’s best burrito -- and bathroom wallpaper full of '90s SF Bay Area pop culture cartoons -- and you’ve got the best new taco joint of 2018. 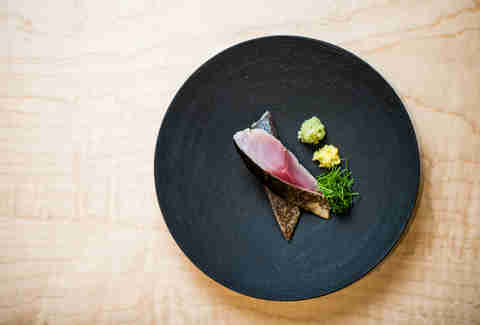 A perfunctory glance at the menu Beaker & Grey’s Chef Brian Nasajon created for Mason Eatery might elicit little more than “eh.” But if there’s one restaurant in 2018 you need to try to believe, it’s this one. Simple stuff like bagel bites with nova lox and garlic churro are done better than you’ll find in any deli. And the fuller, heavier plates like the braised short rib with potato gnocchi and gruyere cream, or the steak frites made with red mojo, put just enough spin on comfort food classics to make them distinguishably delicious. Even the standard deli desserts here harken back to Rascal House nostalgia. And the best part is Mason Eatery serves until whenever it feels like closing, every night of the week. It takes some serious stones to open up a high-end Italian restaurant in a city where literally every restaurant trying to justify a $29 plate of noodles calls itself “high-end.” Having a Michelin star helps. This DC superstar opened its doors in November to great fanfare, and has actually lived up to the hype. The ahi tuna crudo takes the South Florida menu staple and puts a perfect Italian touch to it with San Marzano tomatoes and capers. And though the homemade pasta menu is long on traditional favorites like short rib agnolotti and cacio y pepe, it's the best new pastas you’ll find in 2018. The prices are high ($50 for a lobster ravioli) so it’s not an every day kinda place. But if you’re looking to splurge on good food, there are worse ways to spend your money. The poolside restaurant at the Eden Roc seems like an odd place to put an ingredient-driven, farm-to-table restaurant. What with the general apathy to food quality of anyone sitting by a pool in Miami. 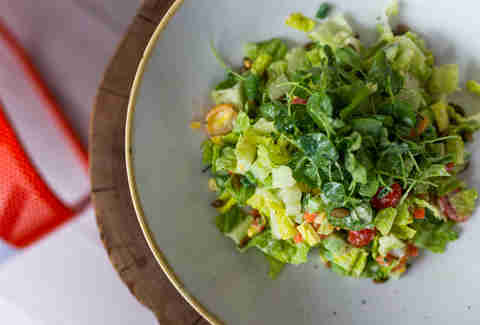 But chef Helene Henderson has meticulously sourced her produce from local farmers, and created the best new vegetarian menu options of the year. Now let’s be clear -- this is not a vegetarian restaurant, and if you order the soy grilled steak sandwich or the grass fed burger with Havarti and pepperoncini aioli you won’t be disappointed. But the veggies steal the spotlight, so try the avocado pizza -- with an entire grove of avocados on top -- or the vegan chop for a dinner that’ll change the way you look at vegetables. When you name your restaurant after the world’s first Mexican Elvis impersonator, well, you’re setting your bar pretty high there, Stephen Starr. But El Vez is a restaurant worth taking an Uber to the Brightline to the water taxi to another Uber for. You’ll be glad you didn’t bring your car when you see the best margarita selection in South Florida, with stuff like a frozen blood orange number and a blackberry mezcalita topping the offerings. The guacamoles are equally as astounding, with a mango, red pepper, jicama, and habanero guac the must-try. The menu moves on to solid ceviches and a long list of Mexican favorites that top anything else we saw this year. And though El Vez himself hasn’t been spotted there yet, it’s worth a happy or two in the hopes he does. “Fusion” seems to be a term thrown around by a lot of restaurants who can’t figure out exactly what kind of food they’re serving. But the menu at Crudos is like a welded sculpture of random metal objects, where different parts that seemingly shouldn’t fit together do, and the result is a true work of art. The tuna pizza, for example, puts raw tuna on a toasted tortilla and tops it with truffle oil, creating a crispy, buttery-cold flavor that you wouldn’t expect to like. Nor would you think a sushi roll with steak, boursin cheese, and avocado would be so good you eat the whole thing. And you'd definitely not think about pairing either with a ramen noodle burger. 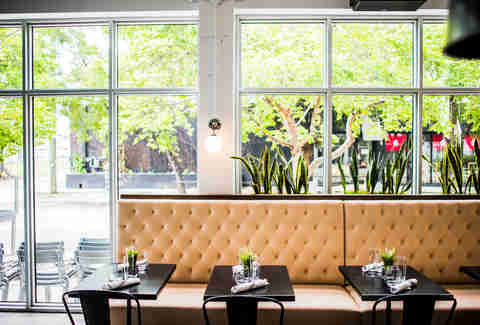 But the art-filled space serves food that matches the décor, and it’s possibly the most interesting new spot of the year. Looking at the handful of bar stools at the end of the X Miami apartments’ lobby, you wouldn’t think the place would be good for much other than a beer and a shot after work. We won’t go into too much detail about the masterful cocktails Will Thompson has created (though order the Green Ghoul, trust us), since that’s more of a “best bars” discussion. But the food here will almost -- almost -- make you forget about the drinks. Momofuku and Per Se alum Carey Hynes has created the best item-for-item menu of the year, a short but sweet bar selection led by the housemade Parker House dinner rolls and ‘nduja toast with piquillo peppers. The star of the show is the bucatini with three-year parm, Pecorino Romano, and cracked black pepper. But all the pastas are solid and you won’t soak up booze much better than you will with the Thai-marinated braised short rib. In a city deluged with mediocre Italian food, Sette stands out with wood-fired pizzas cooked right in the dining room, and homemade pasta that tastes straight from Italy. The hanging plants and wood chairs give the place a relaxed feel, and the staff is the sort of welcoming/friendly you’d expect at a small place tucked away in Tuscany. It might not have the gourmet pedigree of some other new Italian entrants, but for approachable Italian this was the year’s biggest hit. Miami restaurant sticker shock is so unnecessary. You’ll realize this the first time you have a dinner with two rounds of margaritas, appetizers, entrees, pay extra for guac and STILL walk out of Chuy’s for less than $50. For two people. 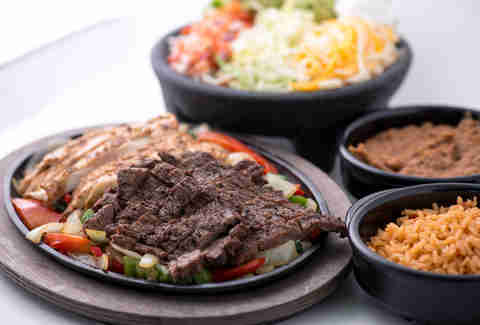 This Tex-Mex chain straight outta Austin landed in SoFla this spring, and tables at the Doral location have been hard to come by ever since. They’re not reinventing the taco here, but the seasoned smoked meats and the chili-infused spicy quesos are as satisfying as any $24 platter in Brickell. Drinks are cheap, and the whole thing is set in a '50s-style, kitschy dining room with old cars made into booths. For the money, you won’t find a better opening this year. And we hope the rest of the Miami restaurant scene takes notice. 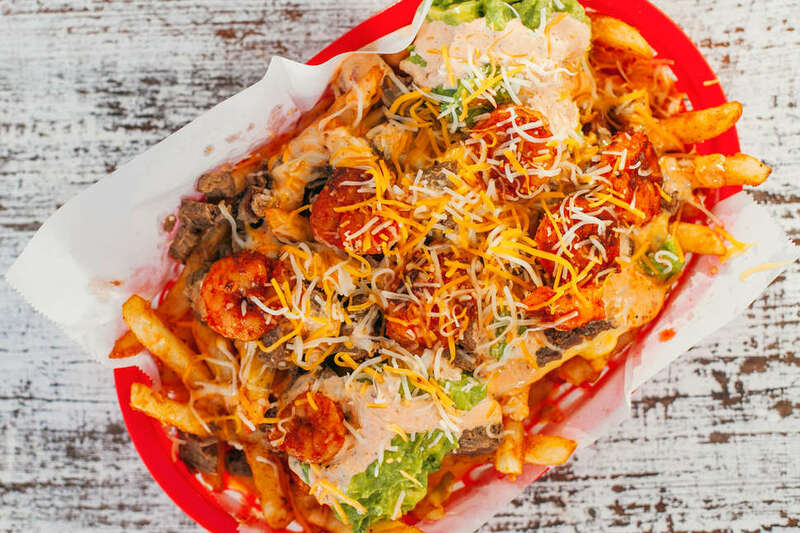 Granted, this San Diego taco favorite that landed in Wynwood could stand pretty well on its own with its simple-yet-delicious tacos and carne asada fries. And for most of the folks who dine at the Taco Stand, that’s all they’re getting. But those in the know are hip to the very-not-secret omakase sushi joint in the back called Hiden, where the city’s best omakase outside maybe NAOE is served with nary a hint you’re sharing a space with a tortilla fryer. 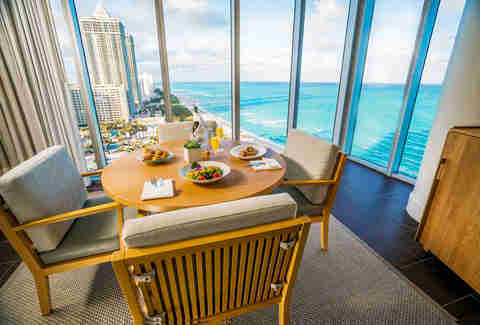 It’s the strangest restaurant combination to hit Miami in years, and though it would make this list on sheer novelty alone, the food is also worth the trip. A rotisserie chicken that’ll have you thinking twice about stopping at Publix. Seriously. The city that gave us chop chop, Pollo Tropical, and the busy-mom staple Publix rotisserie chicken takes its poultry seriously. So, it was an ambitious move to open up this Wynwood rotisserie joint inspired by Holland’s Rotisserie Amsterdam. But the chicken makes good on its promises, serving juicy, flavorful half chickens with spicy mayo and chimichurri that’ll have you forgetting how many meals you’d planned to stretch it into. The buttermilk fried chicken is also outstanding, as is the extensive menu of gourmet burgers that might be the best one of those we saw this year too. But, because this is Miami, Le Chick also doubles as a lounge, where at night you’ll find live DJs, craft cocktails, and maybe if you’re lucky some more chicken. 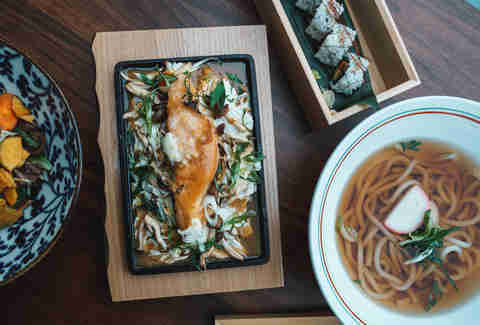 The other Michelin-starred superstar to start a location in South Florida is Azabu, a Japanese restaurant that earned big acclaim with its New York City original. Of course, like so many things from “the city,” New Yorkers will try and tell you the Miami version isn’t as good, but as always, don’t listen to them. The dark space just off the lobby at the Marriott Stanton serves sushi as good as anywhere, and although the menu mostly plays the classics (Hamachi jalapeno, wagyu tataki, robata grilled meats) you won’t find it done better at any 2018 newcomer. For a special occasion, head back to The Den, a ten-seat sushi bar steeped in the Omotenashi tradition of Japanese hospitality, and a sushi-eating experience you’ll find nowhere else in Miami. When you’re a chef on the level of Daniel Boulud, you can take a perfectly successful restaurant like DB Bistro and say, “Eh, I’m tired of this. Let’s try something new.” So, try he did at this Mediterranean-inspired eatery inside the J.W. Marriott Downtown. The new space feels a little more approachable than DB Bistro -- its sleek, white lines replaced by an upscale-brasserie feel. 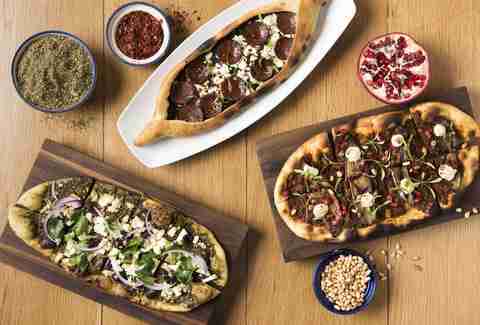 The dinner is big on shared plates, like the lamb flatbread with eggplant and pine nuts as the perfect starter. Then follow it with the chicken tagine or harissa-spiced Colorado lamb loin. Boulud has produced the best menu top-to-bottom of 2018, and if you’re not afraid to spend some money you can have a lot of fun here.